The world, as we see now would have been completely different, if not for engineering and technology. It has played an important part in making our daily lives convenient and comfortable. The mainstay of many industries, especially the manufacturing sector, it has helped in solving myriad problems by applying the principles of science. The Faculty of Technology (FoT) is an institution of higher learning in this important field of engineering and technology. It would not be wrong to say that the FoT is the crown jewel of DDU. In fact, DDU primarily started as an engineering college (called DDIT) offering degree and diploma in Chemical Engineering in 1968. Since then, it has come a long way – adding other branches of engineering and postgraduate courses, becoming autonomous in 1990 and a deemed university in 2000, and subsequently turning into a University in 2005. 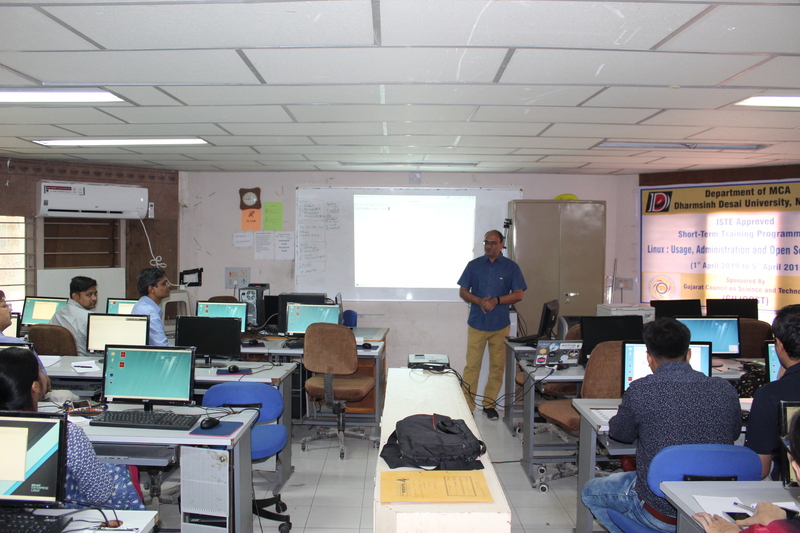 I am thankful to Mr. Narayan Joshi (Head Department of MCA) for inviting us to present one day workshop on RedHat Storage Administration. Check whether we can create more partition or not. mounting table and file system table. Swap file system creation and activation. Lots of hands on for Volume Management. Extending Volume Group by adding Physical volume. moving data from one PV to other PV without downtime. All hands on, and there were 50 faculties participated in Workshop. DDU is part of RedHat Academy. Again thanks DDU for inviting me.